Learn More About McCain Consulting, Inc.
McCain Consulting, Inc., has provided engineering, land planning, and permitting services throughout Waterbury, Vermont, for more than 25 years. Our primary market is comprised of small and medium-sized residential subdivisions and small commercial projects. However, our expertise lends itself to a wide variety of projects from small to large. Our staff consists of a professional engineer (P.E. ), a licensed land surveyor (P.L.S. ), licensed designers (LD), a certified professional in erosion and sediment control (CPESC), a certified erosion, sediment, and storm water inspector (CESSWI); a permit technician, survey/field crew, AutoCAD drafters, and an office manager. This diverse staff is equipped to handle all aspects of the design and permitting process from start to finish. Offerings include land planning, site evaluations, on-site septic design, road and driveway design, municipal water/wastewater connection, storm water and erosion control design, wetland evaluation, and property line surveys. We are experts at navigating the often-complex permitting process and can assist with all local, state, and Act 250 permitting. Gunner McCain first received his septic system designer’s license in 1984. He began his career working for an engineering firm in Waterbury prior to starting McCain Consulting in 1990. From humble beginnings as a one-man show, Gunner has grown McCain Consulting, Inc. In to a full service engineering, surveying, land use planning and permitting company. 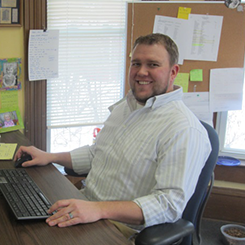 Gunner has served on several local and State commissions, including acting as Waterbury’s representative to the Central Vermont Regional Planning Commission for 20 years ending in 2014. During his time on CVRPC he served 12 terms on the executive committee and 4 terms as Commission Chair. In 2014 Gunner was appointed by Gov. Shumlin to serve on the Agency of Natural Resource Technical Advisory Committee. He still serves on that committee, whose charge is to provide input and advice to the Agency of Natural Resources on Rules relating to septic system and water supply design and permitting requirements and other similar issues. He also sits of the Board of Directors of the Central Vermont Economic Development Corporation as an at-large member. Most recently, Gunner was appointed as a Wastewater/Water System Design Advisor with the Vermont State Office of Professional Regulation. He and his wife raised their family in Waterbury Center, where they still reside. George McCain joined McCain Consulting in 2014, bringing his engineering and project management experience to the firm. 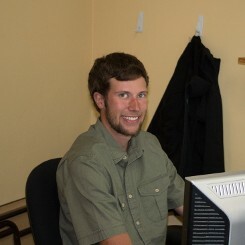 George is a licensed Professional Engineer in Vermont, and actively involved in the Vermont engineering community. He is a former President of the Vermont Section of the American Society of Civil Engineers (VT ASCE), and was recognized as Vermont’s Young Engineer of the Year in 2015. George received his Master’s Degree from UVM and Bachelor’s Degree from Clarkson. He lives in Waterbury with his wife Caitlin, two daughters, and dogs Maple & Saoirse. 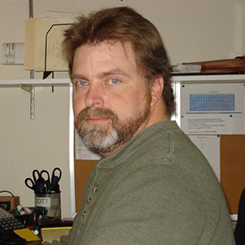 Keith Van Iderstine has been a Survey Technician and Licensed Land Surveyor with McCain Consulting, Inc. for over 17 years. He began surveying in 1991 and obtained his land surveying license in 2004. He is principally responsible for the supervision and completion of McCain Consulting's boundary surveying projects, including property subdivisions and boundary retracements. Keith also supervises FEMA elevation certificates and Letter of Map Amendment applications. In addition to boundary surveying and elevation certificates, Keith is also trained and experienced in performing engineering and topographic surveys, route surveys and research projects to investigate boundaries and rights-of-way. 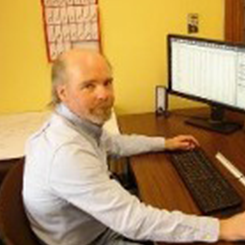 He has extensive experience working on VTrans route surveys for roadways, railroads and bridges and has also worked on projects for the Vermont Agency of Natural Resources Department of Fish and Wildlife. It is a standard that these projects are performed within the Vermont State Plane Coordinate System. 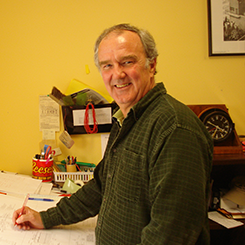 Keith has been a member of the Vermont Society of Land Surveyors since 1996 and currently serves on the Society’s Executive Board as its Treasurer. He has also volunteered with the local community as a certified Level 2 firefighter and former emergency medical technician since 1992. He is currently a Captain on the Berlin Volunteer Fire Department. Bill Brown joined McCain Consulting in the summer of 2004 bringing with him many years of experience as a team member on corporate systems development projects. 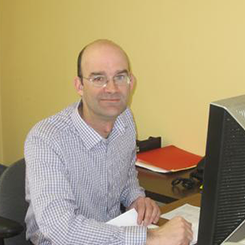 Bill now uses his skills to develop and prepare CADD plan sets to meet the varying requirements of our client’s projects. Bill resides in Williamstown with his wife and two daughters. Army Veteran, Scott Herring, has been a part of the McCain Consulting crew since February of 2005. Originally hired as a CADD technician, Scott now assists in a variety of company processes including field crew operations and surveying. Scott, who was originally from Worcester, currently resides in Williamstown with his wife and children. Dan Auszura received hisAssociates degree in Civil and Environmental Engineering from Vermont Technical College in May of 2018. He joined McCain Consulting two weeks after graduation and assists the field crew with surveying and in the office on design/permitting. Dan was born and raised in Braintree Vermont. 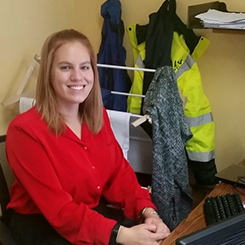 Britney Aube joined McCain Consulting in the spring of 2016. Britney received her Bachelor’s Degree in Legal Studies from Champlain College in 2013. Prior to joining McCain Consulting, she spent two years as the Zoning Clerk and Lister for the Town of Charlotte. Britney, who is originally from Charlotte, now resides in Starksboro with her husband and two daughters. Robin Spitzer joined McCain Consulting in October 2015. She brings over 25 years’ experience in all facets of accounting, human resources and office management. 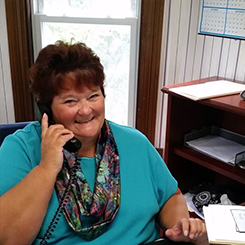 Robin’s background also includes experience in project management, staff training, and customer relations. She grew up in the Valley, and currently resides in Hyde Park with her husband and two rescue dogs. Robin formerly served as President of the Green Mountain Payroll Association, was active in the APA and the New England Payroll Association.